Experience the joy of diving dry with Air Down There Scuba! Some of the world’s best diving, including Minnesota, is in waters that are a bit chilly. Dry suits make these waters accessible while keeping you warm and comfortable. 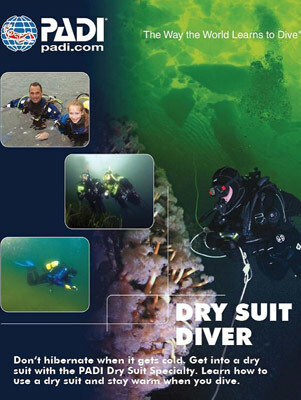 This specialty course is designed to be a safe, supervised introduction to dry suit diving. You will go to the pool where you will practice proper weighting, buoyancy control, ascent and descent techniques and emergency procedures. After the pool dive, you’ll make two open water dives where you’ll apply the skills and techniques that you learned in the pool. After taking this class, you may never want to dive in a wet suit again! Ask us about our Dry Suit Rentals. 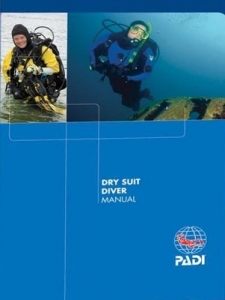 Upon completion you will earn the PADI Dry Suit Diver certification.